This is a quick celebratory post– I don’t have those annoying little fruit flies anymore! You know the ones I’m talking about, that gather around ripening (or overripe) fruits and vegetables and are hard to eliminate.They are at their height in late summer and fall when the harvest is good. Well thank you Abu, Padushi and Leandro! The grands took the little guy to a local nursery for the Halloween display and came home with a “Little Pot of Horrors” – a Venus Flytrap. It wasn’t our first, but the last one we had was outside and expired due to some sort of neglect or storm and didn’t make a dent in the mosquito problem. This one, however, lit a bulb in my head. I set it by the stove where the buggers were gathering and voila! No chemicals, no additional clean-up and NO FRUIT FLIES. Notice fruit fly in central flower! Apparently another low tech way to do it is to stick a paper funnel into a jar baited with cider vinegar, but the Venus Flytrap worked for me and is cute, besides. Of course, tracking and cleaning out the breeding spot is a good idea and prevention (keep very ripe stuff clean and inaccessible) is helpful. Wow…would you really try to do it from seed!?! You are ambitious! 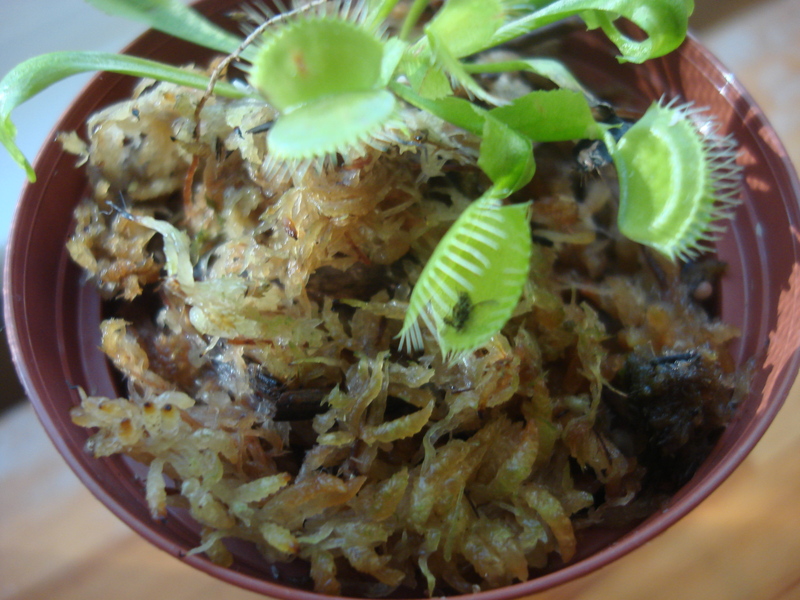 You have to love a carnivorous plant…oxymoron? Or the beginnings of a revolution? do they need? could you let me know? They are available in big garden stores (you could try Home Depot?) They like it warm and wet (sphagnum or peat moss) and light (but direct sunlight not required). That’s pretty much it! thanks Natalia….they are worth a try!